But actually I think it is! BUT WE DIDN’T USED TO. I mean, obviously beds are fine. But since beds have only existed for a few thousand years and people have existed for millions of years, beds are pretty new things. And so with beds, comes problems for our evolved bodies. Specifically, allergies and dust mites. Dust mites are incredibly common in beds. In fact, it is nearly impossible for a bed to exist without them. On average, it appears as though a single bed contains between 1 and 2 million dust mites. Dust mites are microscopic, so even while they are gross to think about, they don’t normally impact your life. 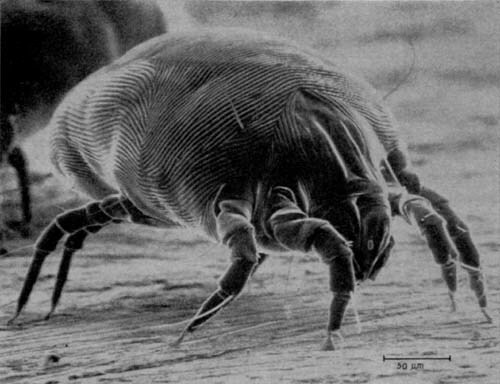 The exception is that when dust mites poop, humans often react to them as allergens. For this reason, dust mite poop has been hypothesized by many researchers to be a factor in causing asthma (though of course there are many). 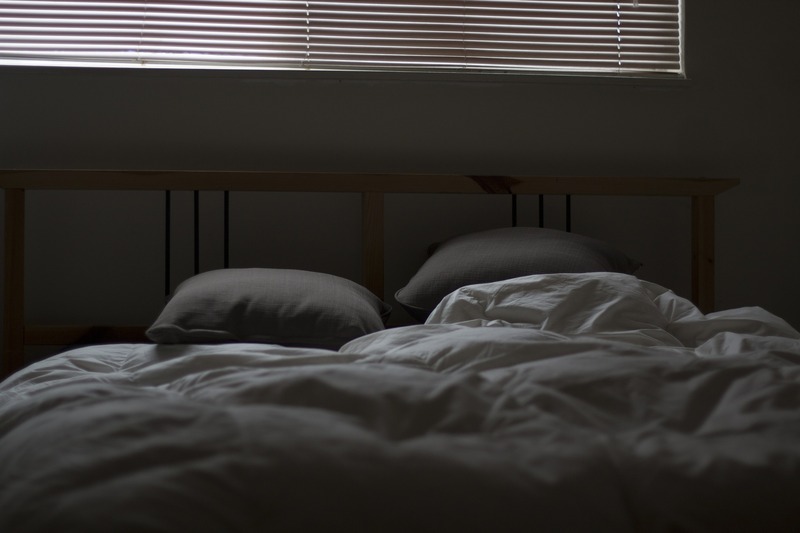 How do you minimize the amount of dust mites in your bed? 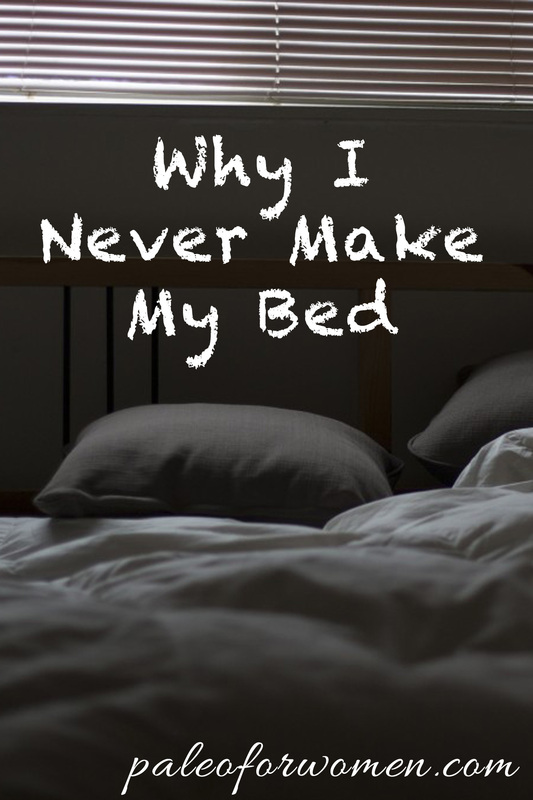 If you don’t make your bed, and you leave your top blankets all crumpled up or off to the side or what-have-you, then you will air out your sheets. Dust mites thrive off of skin cells in warm, damp environments. They actually die if their environment becomes too dry. 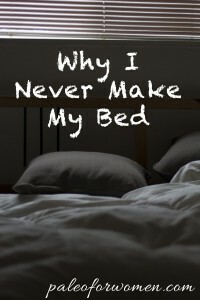 If you don’t make your bed, you dry out the dust mites and they die. If, however, you make your bed after getting out of it, you trap warmth and moisture in the sheets, which creates a veritable breeding ground for these asthma- and allergy- causing dust mites. Your sinuses may thank you. What do you think? What are your bedding preferences? Do you think about paleo and how it might impact your life in areas more than just food? I’d love to know! What about doing it the old-school way like back in the days? Puting out the cover and the pillow in the fresh air for a while before making the bed? I go a different way. All blankets, cushions I use are washeable. I also use a matress cover, which I wash regularly too. I don’t wash them weekly but on a regular basis. Since I do it that way, my nose (and my allergy) is a lot better.